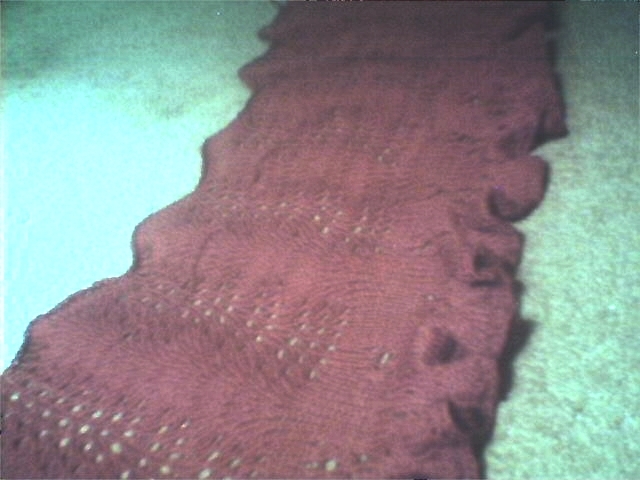 H’s stole is DONE (except for weaving in ends… but done enough for now). I am so excited!!!!! It looks like something she will enjoy wearing, I hope so! Now that it’s done, it was a fun knit. hehehehehe Casting off was sheer torture, blocking wasn’t bad though – wet and stretch and dry. Not that difficult. My interview this afternoon ended up being with a lovely lady I’d interviewed with before at a different company! We had so much fun in the interview a year and a half ago that today was almost like visiting a friend rather than a ‘please hire me, I truly must have a job’ ordeal. We’ll see what works out.